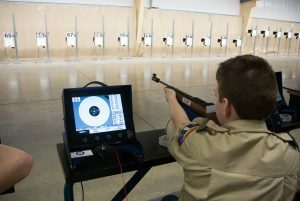 This junior competition began in 1996 as the Atlanta 500 Air Rifle Championship. From 1997 through 2000, it was known as the Wolf Creek 600. In 2001, the match location changed from the Wolf Creek Olympic Complex near Atlanta to the Army Marksmanship Unit ranges at Fort Benning, GA. That year the Wolf Creek Association renamed the match the Gary Anderson Invitational. In 2009 the CMP took over the sponsorship of the Gary Anderson Invitational and conducted the match at the CMP Competition Center - South in Anniston, Alabama. 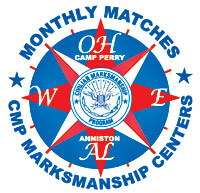 The match is now hosted at both the CMP Competition Center – South, and the Gary Anderson CMP Competition Center, located at Camp Perry in Port Clinton, Ohio. 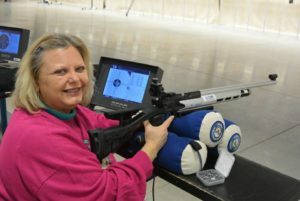 The National Three Position Air Rifle Council sanctions this three-position air rifle invitational as an open CMP Cup match. For more information, contact Lue Sherman at (419) 635-2141, ext. 707 or [email protected].